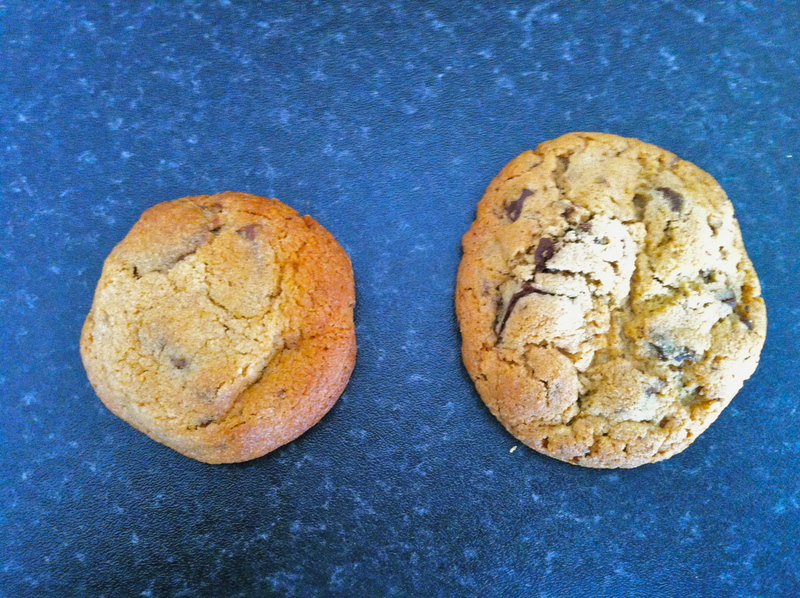 I am having a cookie conundrum. I made my usual choc-chip cookie, for the umpteenth time, and lately I have been taking special care to measure out the butter and peanut butter, to get a more consistent result. Now I feel like I’m going crazy because I am getting these different results even though I am making them the same way. I have included a photo to demonstrate my point. If anyone has any ideas about why this is happening, please tell me!! Hi my guess would be the oven temperature. Did you preheat the oven ? OK so I thought I’d better make it official…Maria, I think you’re right. I made them again this week, with a nice hot oven and they came out exactly how I like them. Thanks for your kitchen wisdom.